Foraging for corn in the grass. 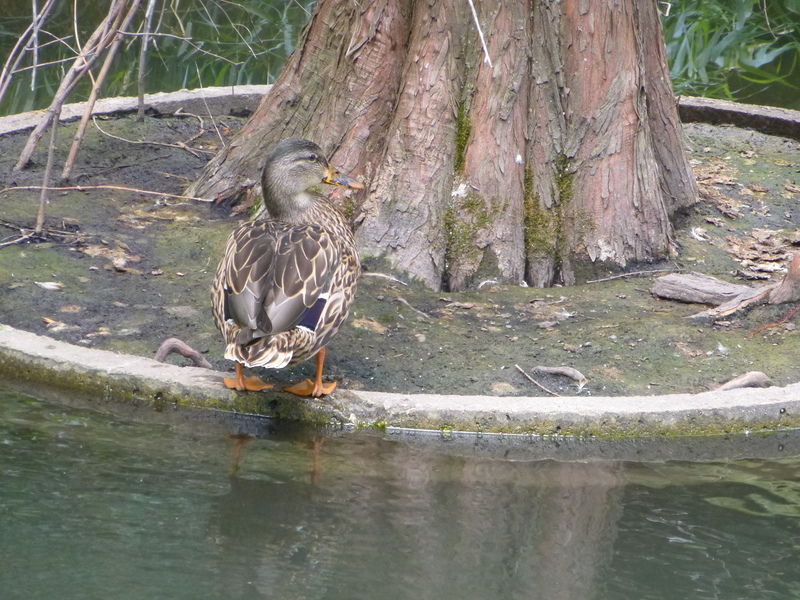 It’s not often I get a picture of her (or any of her brood) with their bills open. They eat fast! The photo is blurry because it was early in the morning and there was little light. Two portraits. 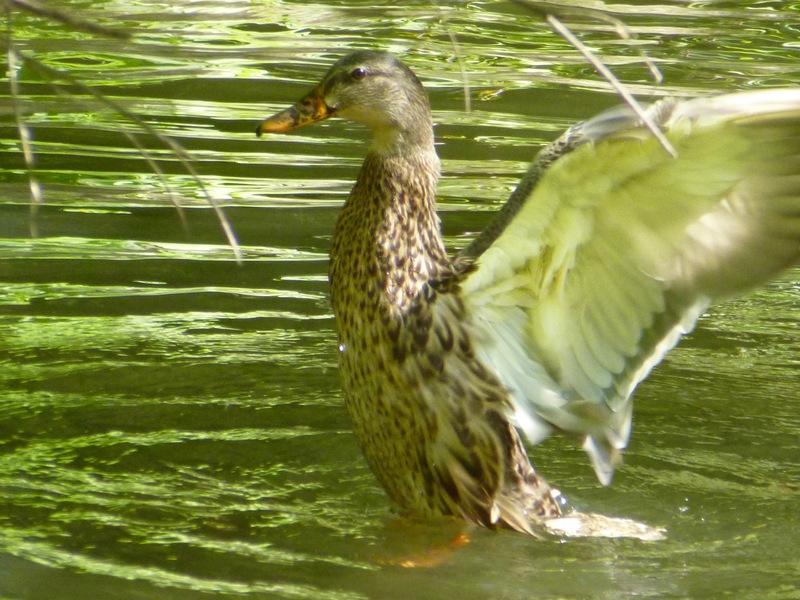 Here you can see that her wing feathers are nearly full sized (I saw her fly into the pond yesterday when a child startled her). When the wings are large enough, the primary feathers from the two wings cross over each other. I should be seeing whether she consistently folds one wing (say, the left) over the other. In other words, is the folding directional? What with feeding 2-3 times a day, she’s getting pear-shaped again. 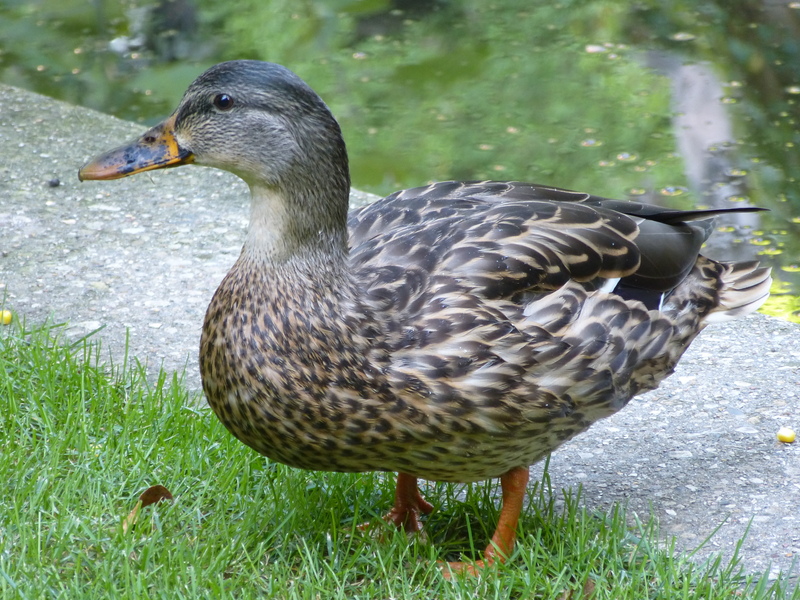 This is a duck with pulchritude. 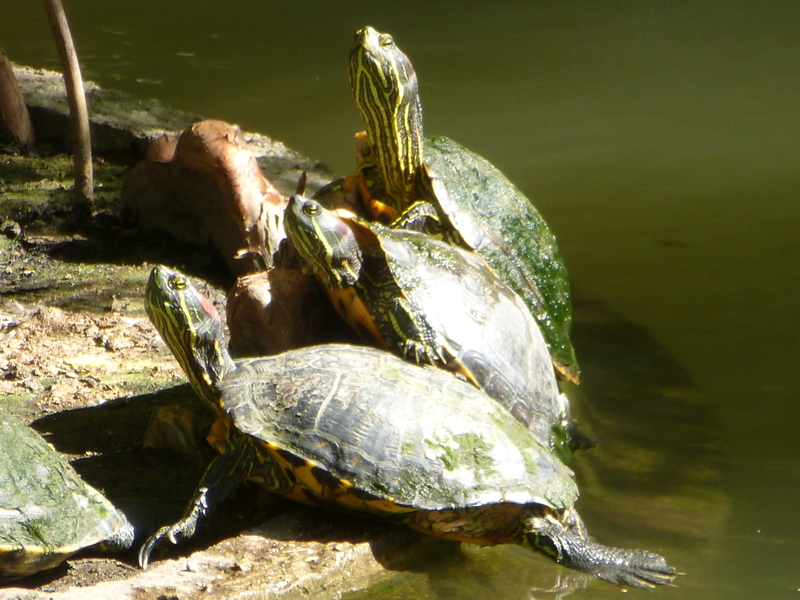 I swear they look as if they’re enjoying their sunbath! And four photos from yesterday. If Honey doesn’t return today, these will be the last pictures taken of her this year. She’s getting nice and plump now. 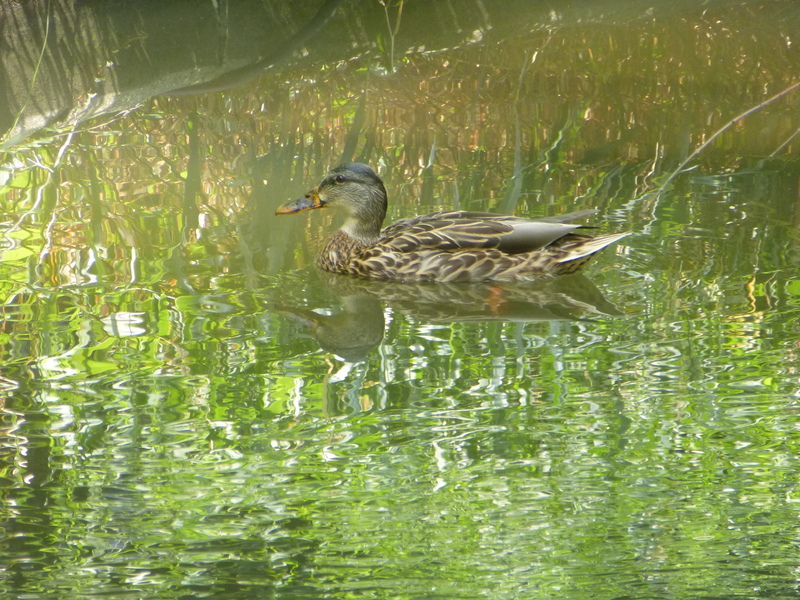 I checked the pond at 2 pm and there was no sign of Honey. This may be her final bow before taking off. 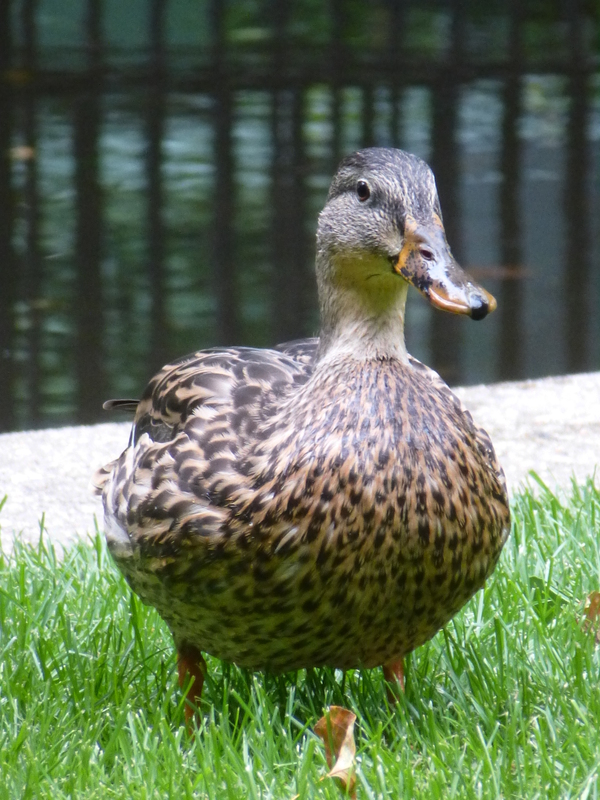 When I last saw her yesterday, she seemed skittish and restive, and when I fed her corn on the grass, she suddenly stopped eating and stared at the pond for a long time, facing south. Maybe the Gulf was calling her. . . .
Stay tuned for further billetins. 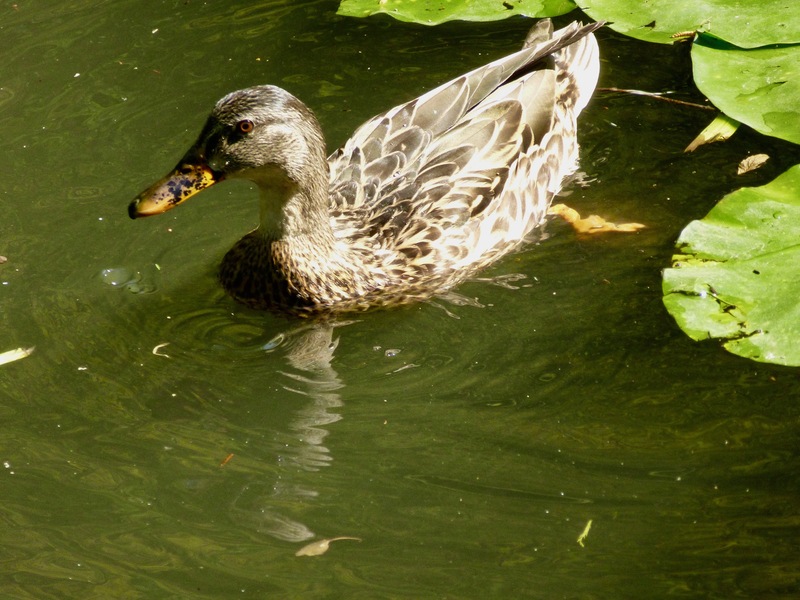 This entry was written by whyevolutionistrue and posted on August 26, 2018 at 2:00 pm and filed under ducklings, ducks. Bookmark the permalink. Follow any comments here with the RSS feed for this post. Both comments and trackbacks are currently closed. 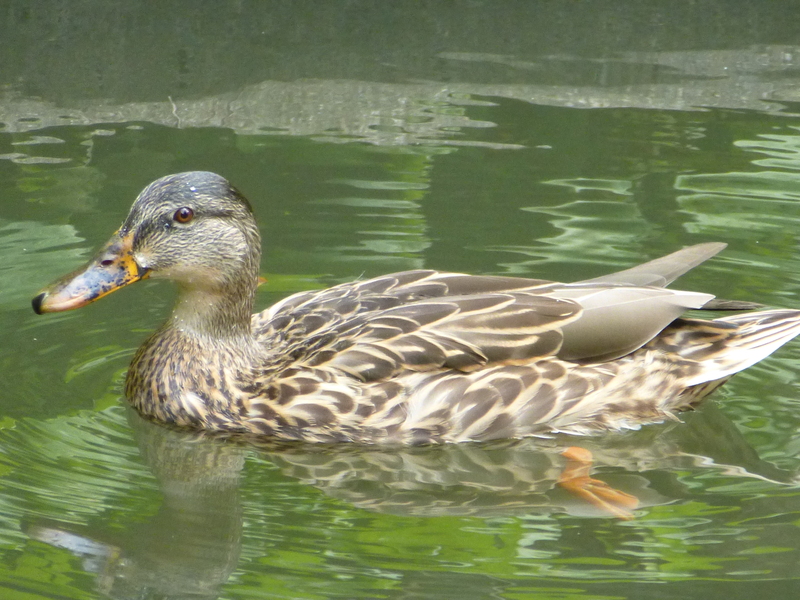 Hope you’re keeping that third photo, the one of the pulchritudinous duck, on your desk! It’s lovely. Man, this is such a roller coaster! Such a beautiful creature! If she’s gone for the winter, I’m hoping her trip south goes well and she’ll return to you next year. I think honey is aiming for the Who’s record for comebacks. 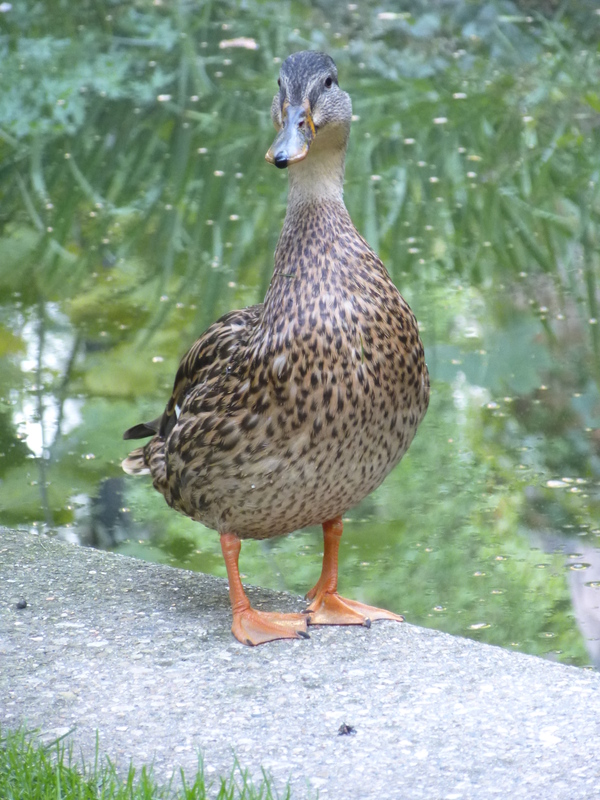 Who doesn’t like a good duck pic? Certainly not me. Beautiful. I wish Honey bon voyage. 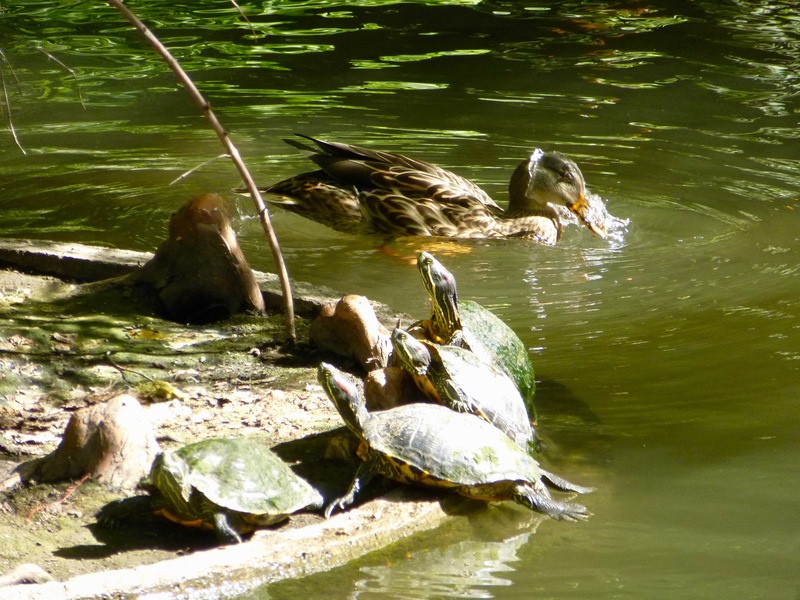 I must confess that the turtles are a big draw for me, so even after Honey leaves you could keep posting shots and I’d be fine — up until they all under the mud for winter. 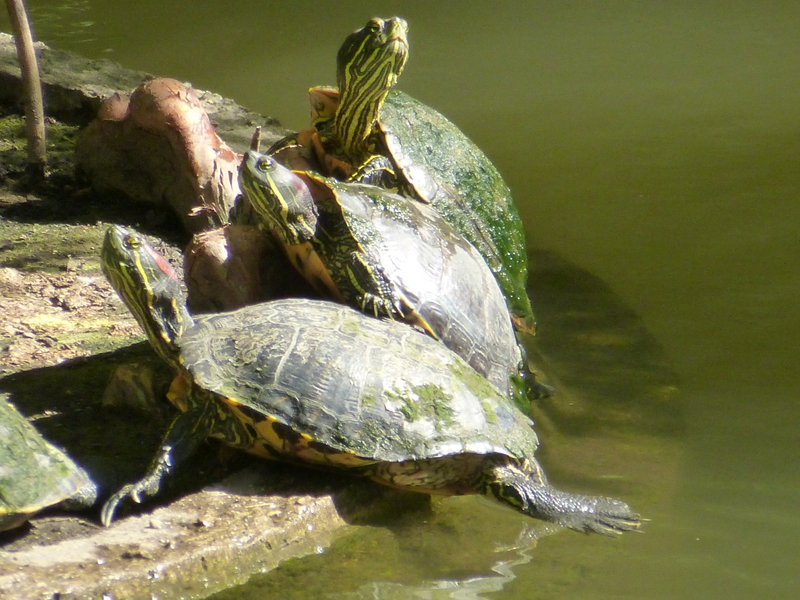 I live in arid country and turtles are scarce. 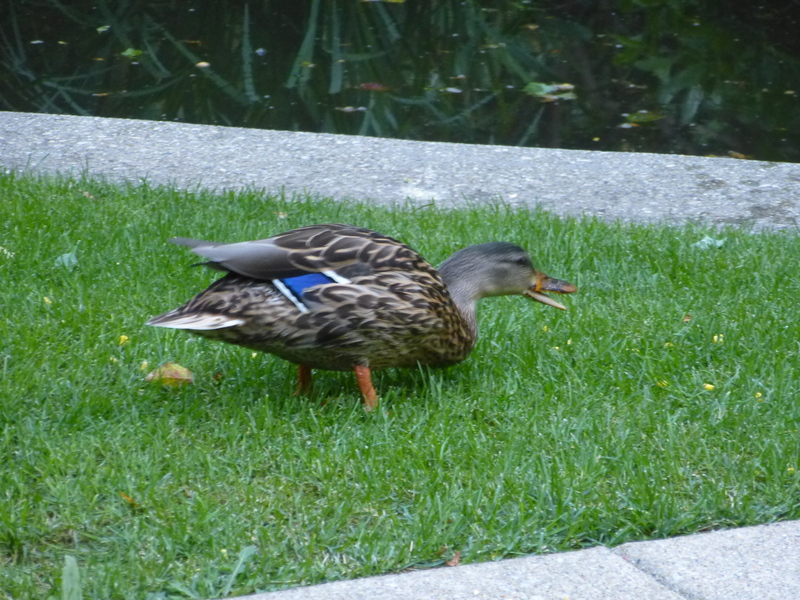 Some humor – naught duck! 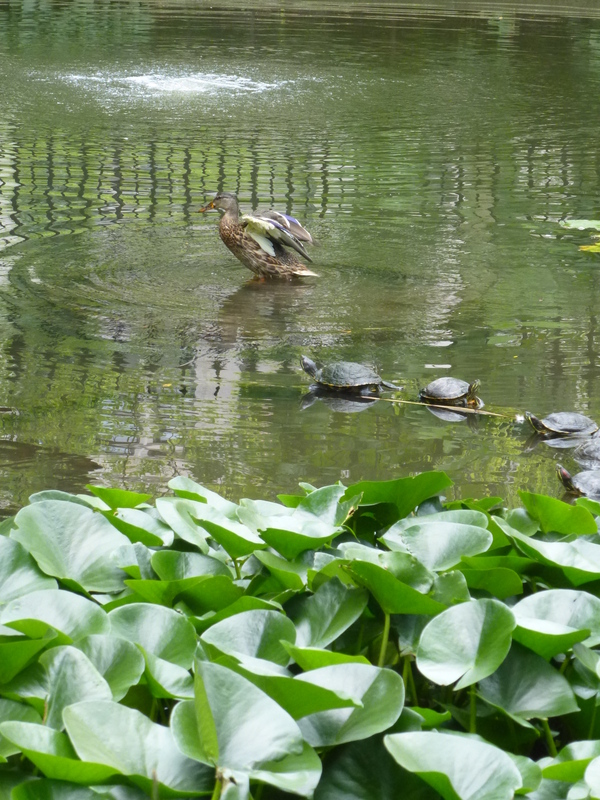 Both the duck and the turtles are endlessly fascinating. No such thing as too many pics! Perhaps she has another sugar daddy. 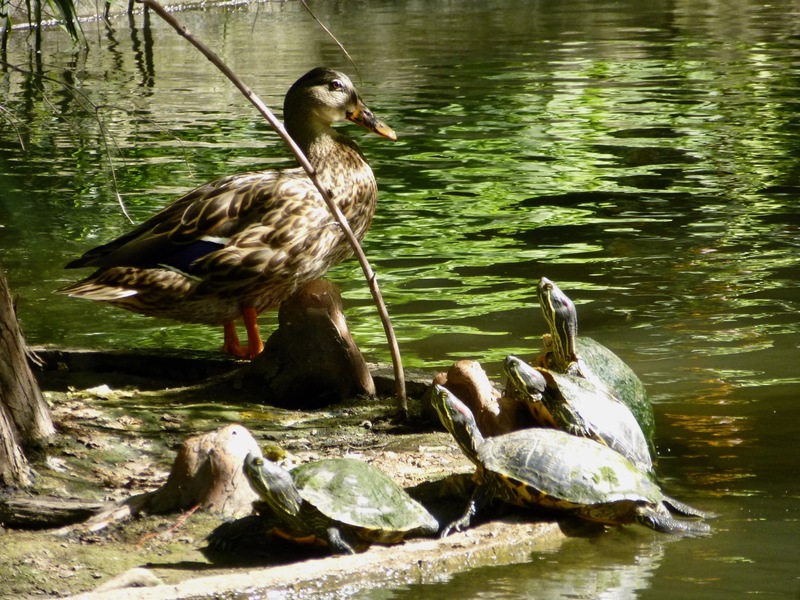 It may be turtles all the way down but it’s ducks all the way up!